The festival of Eid is around. 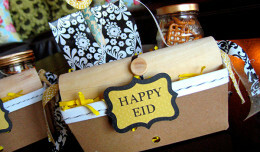 People already began searching for Eid gifts during the month of Ramadan. Here, we are sharing with you some exciting gift ideas that your customers may love.